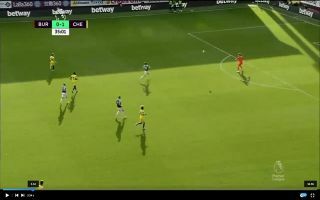 Chelsea goalkeeper Kepa Arrizabalaga has turned out to be a revelation for the Blues, here is a video of some of the Spaniard’s best passes this season. Chelsea made 24-year-old Kepa their most expensive transfer ever when they signed him for a whopping £71m in the according to BBC Sport. The deal to bring Kepa to Stamford Bridge represents the highest ever fee paid for a goalkeeper in history. Even with a massive price-tag looming over his head, Kepa has managed to keep a cool head this season. The Spaniard has certainly proved that he deserves to be in the same company as some of the Premier League’s finest goalkeepers like Alisson, Ederson and David De Gea. The one to Kante vs leicester is the best thus far. Kepa could go on to be Chelsea’s main man between the sticks for the next decade.